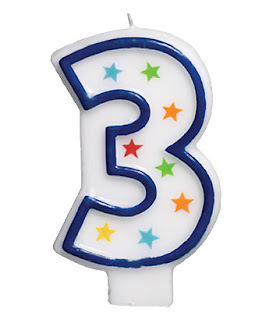 Sherman's Food Adventures: The blog turns 3! Congrats! I've been reading your blog this long? lol :) -Jenny S.
A big congrats on this huge milestone! Hope you have many more awesome years of eating. Happy blogirthday, Sherman! I don't know how you do it, but keep it up! Your blog helped me create a very special dinner last year. For my boyfriend's 30th birthday, I was torn between Tojo's and Octopus Garden for omakase. And lo and behold, as if by telepathy, you posted about Octopus Garden (and how awesome it was) as if to solve my specific dilemma. Made the reservation the next day and had a truly unforgettable evening. So thanks for being a part of my (and many other Vancouverites') dining adventures! Congrats Sherman for 3 years of the best food writing Vancouver has seen! Congrats Sherman!! Here's hoping for many more years of blogging to come. happy blogiversary sherman!!! i still remember the first time i went to your site and i've never stopped since. i truly trust your opinion on the restaurants you go to and i always see if it's 'sherman approved' before even considering it. your site also led me to mijune's and i love the banter you two always have going on! to another 3, 5, and 10 years!! Congratulations on the anniversary. Your blog is the first one I stop on if I'm looking for food information, and I always enjoy reading your work. Happy 3rd birthday and may there be more to come! I was just wondering if you've packed on the pounds like Adam Richman of Man Vs. Food or have you managed to maintain your weight? Happy blog birthday! I read you every single day! I don't comment but I am here and love your blog - keep on going! Happry Birthday to your blog!!! Congrats Sherman! A big thank you for putting in all the effort into maintaining this awesome blog! Congrats and happy birthday to your awesome blog! Congrats! I love your blog, keep it up! Happy bloggaversary! An avid reader, Lucy X. Happy bloggiversary! Looking forward to many more! Congrats on 3 years! Great writing and always good recommendations. Congrats on 3 years! Always appreciate the great recommendations and commentary. Congrats on the blog's b-day and many more foodie adventures to come!! I rely on your thoughts almost every time I dine out. Happy Blogiversary from your Fellow Foodie in Minneapolis-St Paul! Congrats Sherman! Longtime reader, first time commenter. I've been following your blog for a couple of years already, I think this is the best food blog in Vancouver hands down. Thanks for all of your hard work! Eat lots, be skinny, and be merry! Congrats Sherman! Love your blog! First thing I read every morning an have had some great meals thanks to your blog. In fact when I'm invited to go somewhere new the first thing I do is look through your blog to see what your review says. Could always count on "Sherman's Food Adventures" for some prompt, thorough and consistent postings!!! Happy happy blog-a-birthday! I love your blog. Hannah S.
I was just telling someone that UrbanSpoon should be PAYING you. You are a god send for reviews of random Chinese restaurants in the GVRD. Thank you! (Btw, Snake is my cousin and I feel so honored to be 1-degree separated from you!!!). Congrats! Long time reader/lurker, first time commenter. I love how you take so many photos of the various foods you review. Keep on eatin'! Congrats. You continue to be my source of good food and reviews. Happy 3rd annie, Sherman !! All the best, with many more annies to come ! Hope you can continue writing your awesome restaurant blogs so we can all get some tips and advice from you! Thank you for your hard work and continually being honest about your experiences. I will support you in the years to come! I've been reading your blog for at least a coupel years and is simply addicted to it！Happy blogday! Woohoo!! Congratulations Sherman! I look forward to reading your blog every day! Happy blogthday! Love the big 6 review :-) my girl and I read every review. Thanks for the dedication please keep it up. Thanks for all the kind comments everyone! Yes, I'm not sure how I keep it up but I'll sure try. I'm surprised it has lasted this long to tell you the truth. It's a lot of work and money!!! :) And no, I haven't gained any weight. I think I might lost some though... Strange... And again, thanks for putting your trust in me. It means a lot! Congrats on a great blog! I enjoy reading it everyday. Happy birthday sherman. I love reading your blog on a daily basis. you have the best food blog in vancouver!! its the first thing i read in the morning, keep up the great work/eating!! We love your blog, never know where you are gonna eat next. Congratulations on your 3rd year and hopefully many more to come. Congrats Sherman! I really enjoy reading your blog. Congratulations!! It is very challenging to keep the postings up and you have to have very understanding friends and family who let you snap photos before they eat especially if they are starving. Keep it up. Your blog is a go to blog for Vancouver food. WOW I cant believe that I have been reading your blog for that long!! Thanks Sherman!! Keep up the Good Eats! Congrats! Congrats Sherman! Long-time reader, previously from Surrey then downtown Vancouver and now back in Surrey. Love your posts from this side of the bridge. I have been reading your blog regularly now for the last year or more...keep it up! It's very entertaining especially when you use "meh" in your descriptions! You are my go to blog reference when I want to look for a new place to try. Congrats on another successful year of blogging and eating! Thanks for your $50 gift certificate to Le Crocodile last year; it was a wonderful experience! Keep up the wonderful eating thoughts and ideas! I've learned a lot dining vicariously through your photos and descriptions. You've helped me find some real gems. Thanks! Congrats Mr. Chan! haha sorry old habits! this blog has helped me greatly at selecting decent places to eat -- it is wonderful to see it turning three! Thanks again for the kind comments. They really do mean something to me!